Sits on top of floss bowls with an outside diameter of 28"
Keep your cotton candy clean and keep easy access to your product with the Carnival King FB28 floss bubble! 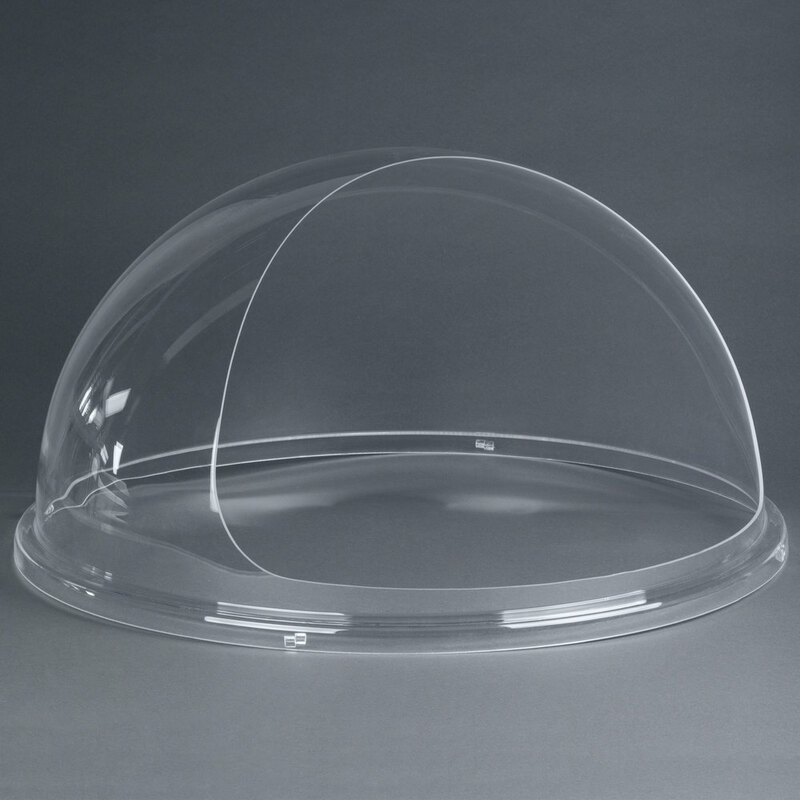 This 28" diameter cover, designed for the Carnival King CCM28 cotton candy machine, is a simple and effective way to protect your product while simultaneously putting it on display. Made of clear plastic, this bubble shows off your colorful cotton candy to help catch the attention of passersby. This piece features a cut-out section to allow you easy access to the cotton candy and make it ideal for quickly serving up this colorful creation to your customers!